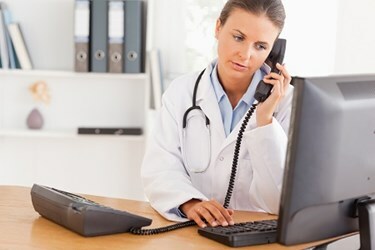 According to an Economist poll of healthcare leaders, the biggest barrier to mHealth adoption is data privacy concerns. A poll by The Economist asked healthcare leaders their views on the world of mHealth and found that, while they were optimistic about the future of mobile, there were several barriers to its adoption. MobiHealth News reports data privacy was also a top concern of consumers, with 52 percent of respondents showing concern that their data would be misinterpreted. In addition to privacy concerns, respondents also cited the “institutional bias and conservatism within the healthcare establishment”, i.e. the inherent risk-averse nature of healthcare (44 percent). Only 19 percent of respondents put regulatory barriers to innovation in their top three concerns. According to HIT Consultant, other concerns include the fear that “consumers and/or patients are not used to the idea of tech-based health services” (54 percent), and that “the technologies are too complicated,” especially for the ill or elderly (44 percent). The study also found that while now, most mobile applications help patients educate themselves about their health and wellbeing (79 percent), in five years, apps are expected to take on a different role. Half of all respondents said they expect apps to enable patients to proactively participate in their own care, and lower costs.